1. Analyst – Group leaders must regularly analyze the effectiveness of their teaching. As leaders guide their groups to actively study the Bible, they would be wise to set aside time to reflect on the way group members respond to the Bible studies they craft. Savvy leaders will analyze and identify things that went well in a study, and things that could be improved upon, then make the necessary changes. 2. Catalyst – Group leaders are typically the catalysts for launching new groups. They can either support this important (essential) task by encouraging their group members to branch out (“franchise” the current group and start another one), or they can selfishly hold onto group members, saying things to church staff like, “Don’t split my group” and “Don’t ruin our fellowship by dividing us.” Catalytic group leaders understand they should hold onto group members with a very loose grip. The group and the church both belong to the Lord, not to the group leader, so being a catalyst for the start of a new group comes naturally. 4. Strategist – Group leaders have an important role to play in the overall work of their group. Someone has to decide what the group is going to be about – what it will study, where it will meet, how it will serve, when it will convene, and much more. Group leaders should be strategic thinkers who take limited people resources and maximize them for the largest Kingdom impact possible. None of us have unlimited time, and strategists seek to help their group members grow, serve, and relate to one another in strategic ways. 5. Futurist – Seeing a better future for the group is a big responsibility for group leaders. Future-thinking group leaders know when it’s time to start planning for a larger place to meet to keep the group growing (or when the timing is right to start a new group). They also see opportunities to help group members grow spiritually, empowering them to continue maturing and becoming more like Christ. Group leaders who are futurists see the next leader of the group, and take steps to groom that person as an apprentice leader who will one day take over the group and provide “next generation” leadership. Group leaders wear multiple hats. The job of a group leader goes way beyond simply preparing and teaching a Bible study lesson! 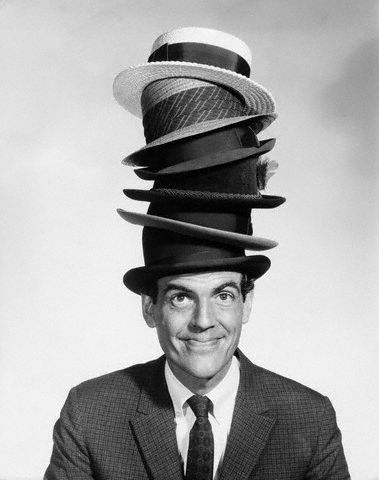 Which one of these 5 “hats” do you need to start wearing more often? Follow my blog and receive weekly posts to encourage and equip you as a group leader. There’s no cost, and your email address is never sold or given away. Just click here to jump to my home page, and use the button in the upper right sidebar menu to join. I really like this article. One thing I would add is to always be keeping your eyes on Jesus and asking Him for help in all of your needs.